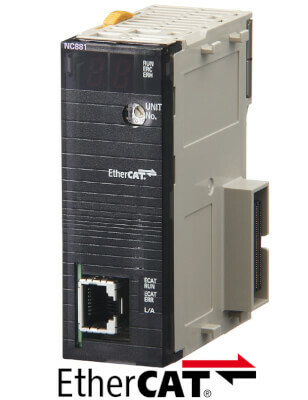 In the minimum of space you can have a complete and powerful position control system when combining the Omron CJ2 PLC, the CJ1W-NC EtherCAT unit and the G5 servo drives with EtherCAT built-in. Note:	Refer to servo system and frequency inverter sections for detailed specs and ordering information. 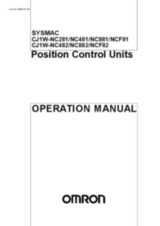 Note:	Refer to Automation systems catalogue for detailed specs and ordering information. 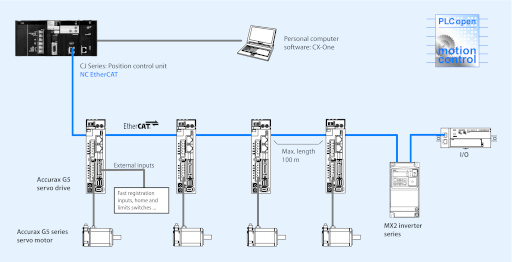 Note:	Refer to vision system documentation for detailed specs and ordering information.